Call or Text Listing Agent - Polly Garrett - The Real Estate Center of Spearfish - 605-645-2331 for more information. 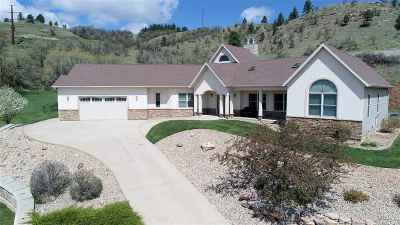 You will need to drive up the driveway to appreciate the view and fine finishes this custom Sandstone Hills home has to offer. The great room with its cozy fireplace is the heart of the home and is central to all living areas. It has a beautiful cook&apos;s kitchen and dining areas with access to the private back deck areas. The spacious, private and well-appointed master suite is off the West wing. The East wing has 2 bedrooms with a Jack & Jill bath and 3rd bedroom/office are in the East wing. In the walk-out basement there is a family room with gas fireplace, full bath framing for 2 additional bedrooms and lots of storage. 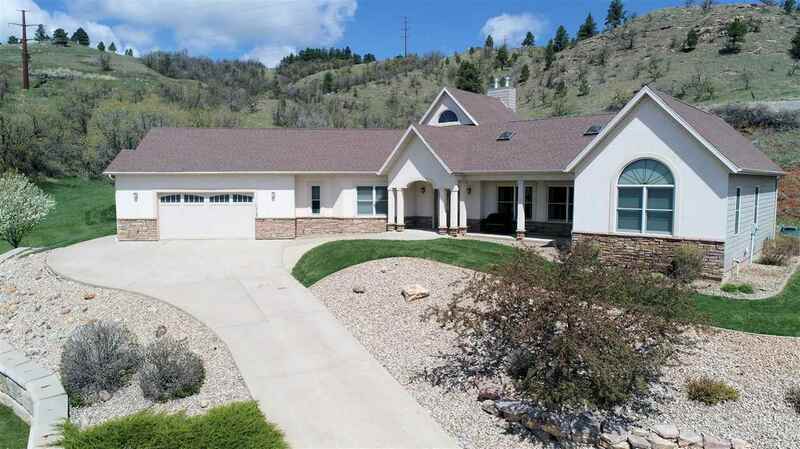 This home sits on 1.9 acres with open space and Lookout Mountain to the back. You can sit on the private deck and screen porch area and watch wildlife go by. Oversize heated garage.